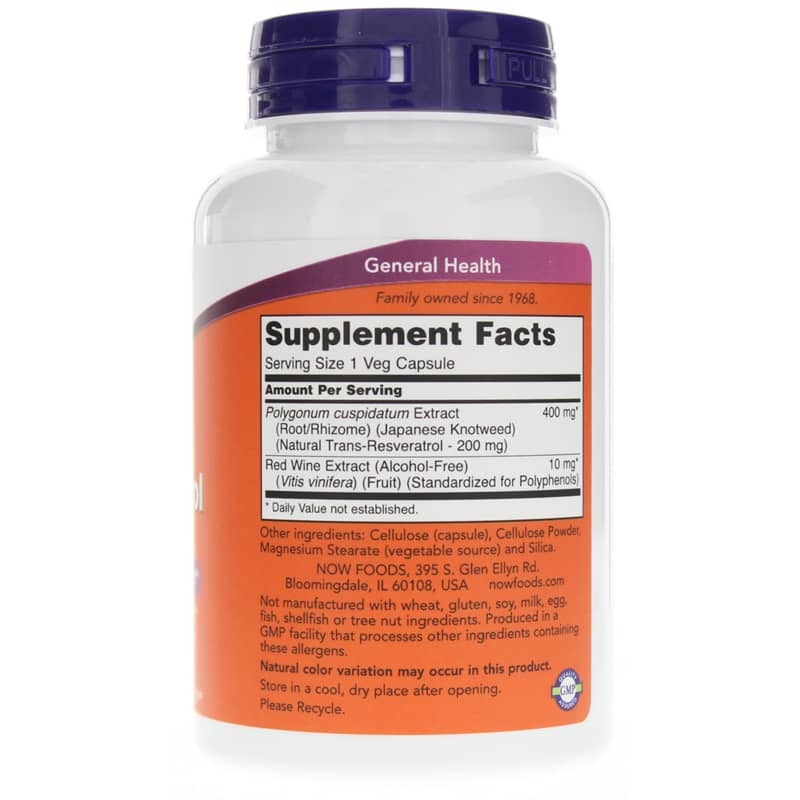 Natural Resveratrol from Now is a vegetarian supplement that contains 200mg natural trans-resveratrol per capsule. 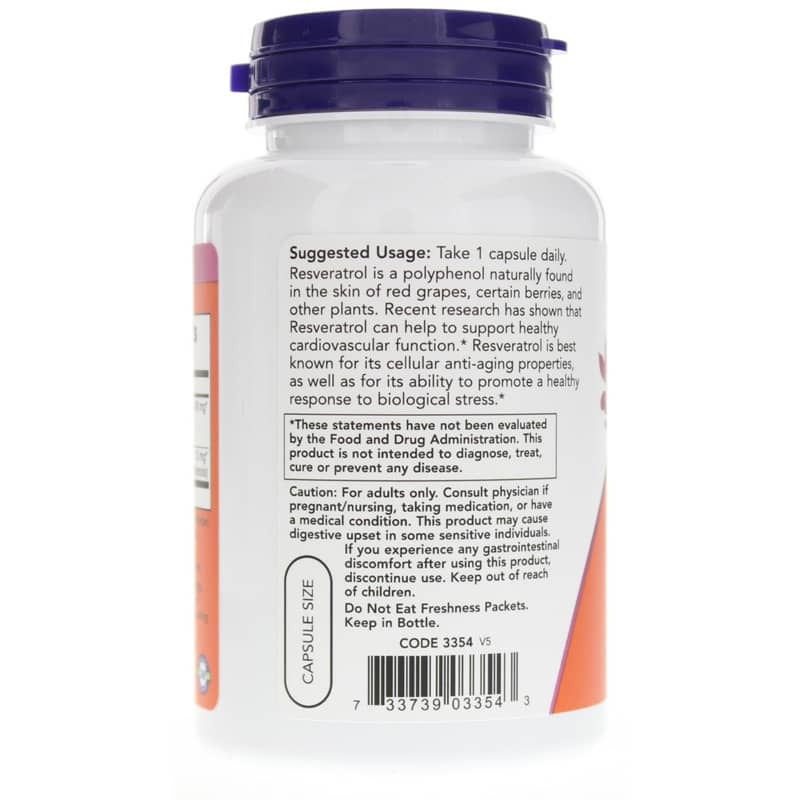 Resveratrol is a polyphenol naturally found in the skin of red grapes, certain berries, and other plants. 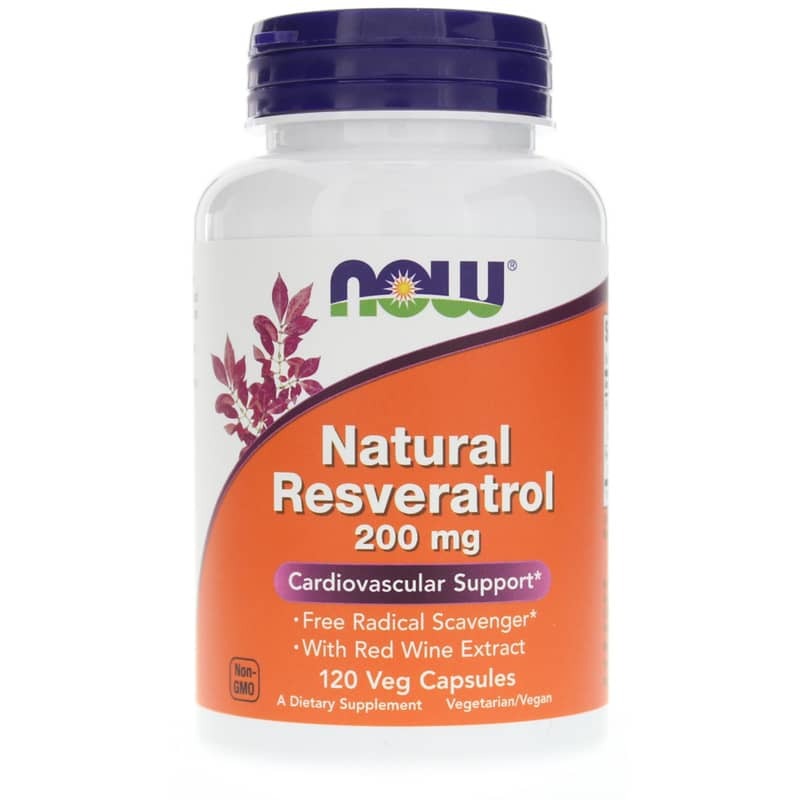 Resveratrol may help support cardiovascular health through its antioxidant action, as well as through its ability to maintain a healthy response through various mechanisms*. Not manufactured with: wheat, gluten, soy, milk, egg, fish, shellfish or tree nut ingredients. Produced in a GMP facility that processes other ingredients containing these allergens. Vegetarian/Vegan. Non-GMO. For adults only. Consult physician if pregnant, nursing, taking medications, or have a medical condition. This product may cause digestive upset in some sensitive individuals. If you experience any gastrointestinal discomfort after using this product, discontinue use. Keep out of the reach of children.